How to watch Hostages: Season 2 (2016) on Netflix Portugal! Yes, Hostages: Season 2 is now available on Portuguese Netflix. It arrived for online streaming on October 4, 2017. 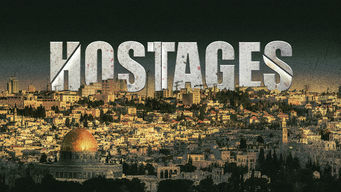 We'll keep checking Netflix Portugal for Hostages: Season 2, and this page will be updated with any changes. The night before a surgeon is set to operate on a prime minister her family is held hostage by gunmen who insist she kill him or her family will die. She's forced into a deadly decision: kill her patient, or let her loved ones be killed. Nothing is that simple. Season 1 of Hostages has 10 episodes. Because different Netflix countries have different availability for episodes, you'll need to check the episode listing below to see which are available in Portugal. The day before Dr. Yael Danon is scheduled to operate on Israel's prime minister, strangers begin closing in on her family. As the time of the operation draws near, Yael searches desperately for another solution. But she's being watched from all sides. After delaying the surgery, Yael finds herself under suspicion at work. Eyal's debts add a new wrinkle to the kidnappers' plans. As Adam races to cover his tracks, Assaf and Noa try to make contact with the outside world. A visitor shakes things up at the house. 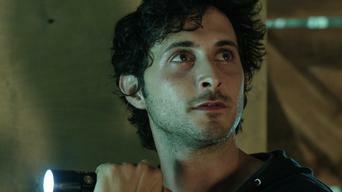 As Yael scrambles to help Eyal, a new complication forces Adam to make a risky move. Alex's temper fuels tension in the house. Adam is surprised and concerned when he's abruptly summoned to his old job. Meanwhile, Yael begins piecing together clues to Adam's identity. Yael learns that someone might be onto the plot but doesn't know whom to trust -- especially when she discovers Eyal has been hiding things from her. An injury forces Assaf and Noa to split up during a harrowing chase. Eyal makes a drastic bid to gain leverage on the kidnappers. Yael begins following a new person of interest. Meanwhile, Alex loses what was left of his patience, and Adam and Giora clash over Noa's fate. Yael turns the tables on Adam and tests the limits of his resolve. But a string of revelations soon leaves her facing another weighty decision. Season 2 of Hostages has 12 episodes. Because different Netflix countries have different availability for episodes, you'll need to check the episode listing below to see which are available in Portugal. As Adam prepares to whisk Neta and the prime minister out of the country, Giora discovers the body swap at the morgue and sets out to find them. With police and reporters swarming the building, Adam scrambles to buy time. Hostage negotiator Orna establishes a line of communication. Adam rethinks the transplant plan and demands that the police release a mysterious prisoner. Orna insists that he free a hostage in return. 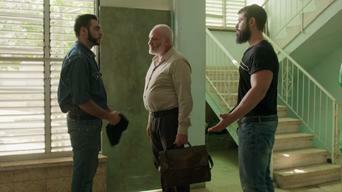 While Stanislav prepares a room for surgery, Guy realizes Giora played a role in his father's death. Zinger gets a surprise visitor. After Guy discovers a nearby tunnel, Adam makes Orna an offer. Zohar pays a price for her investigation. While Adam checks the tunnels for an exit route, a crisis forces Guy to enlist Giora's help. Amsalem decides to see where the tunnels lead. An encounter in the tunnel leaves Amsalem facing a dilemma. Zion grows desperate to escape the yeshiva. Ben finds a way to get leverage on Adam. A heart-stopping phone call pulls Adam away from the compound and throws his plans into turmoil. Zion reaches his limit. Neta threatens the prime minister, Zohar tips Adam off to Region Corp's shady activities, and Orna begins to suspect Amsalem is hiding something. As the police prep for their operation, Adam races to track down Moni's notebook on Region Corp and recruits two familiar faces to help save Shira. Adam and team hatch an elaborate plan to sneak the prime minister past the police. Yuval gives Zohar a new lead. Arthur pays a visit to a sheikh. While Adam heads to his meeting with Ben, Orna stumbles on a missing piece of the puzzle, and Zohar finally realizes what Region Corp is planning.